Antonio Villaraigosa is a respected voice in American politics, a prominent policymaker and savvy strategist with a keen understanding of America’s mainstream and emerging communities. He has more than 20 years of leadership experience at the highest levels of state and municipal government as well as business, political, educational and nonprofit organizations. In 2013 Mr. Villaraigosa finished his two terms as Mayor of the City of Los Angeles, a city of more than 4 million residents, after eight years of major strides in transportation, crime reduction, infrastructure, energy and resource sustainability, right‐sizing government, business development and education reform. As Mayor he oversaw the revitalization of downtown Los Angeles and Hollywood, approval of balanced budgets of more than $8 billion annually, avoided a municipal financial meltdown during the recession, launched projects to double Southern California’s rail transit system, and set in motion the first major modernization of LAX airport in more than a generation, a $4 billion effort that included the single largest infrastructure project in the history of the city. He worked successfully to reduce violent crime by 50%, increase high school graduation rates from 48% to 64%, reduce carbon emissions by a nation‐leading 28% and achieve a 75% solid waste recycling rate, increased tourism by 66% and generated more than $40 billion in transportation funding for Los Angeles County. Prior to his election as Mayor, Mr. Villaraigosa served as a member of the Los Angeles City Council from 2003 to 2005, where he launched the city’s first program to reduce the cost of prescription medicine for residents, led the Council’s efforts on transportation issues, created new parks, settled two crippling strikes, protected arts funding and worked to expand constituent services in a district of more than a quarter million people. From 1994 through 2000, Mr. Villaraigosa served in the California State Assembly as Democratic Whip, Majority Leader and Speaker of the Assembly. As Speaker he presided over operations of the 80‐member, 800‐plus staff elected body and played a major role in strategizing and passing legislation. He oversaw passage of landmark state measures including an historic $9 billion school rebuilding bond, the toughest assault weapons ban in the country, the largest urban neighborhood parks initiative in U.S. history and creation of the “Healthy Families” program that provided healthcare for more than three quarters of a million children. 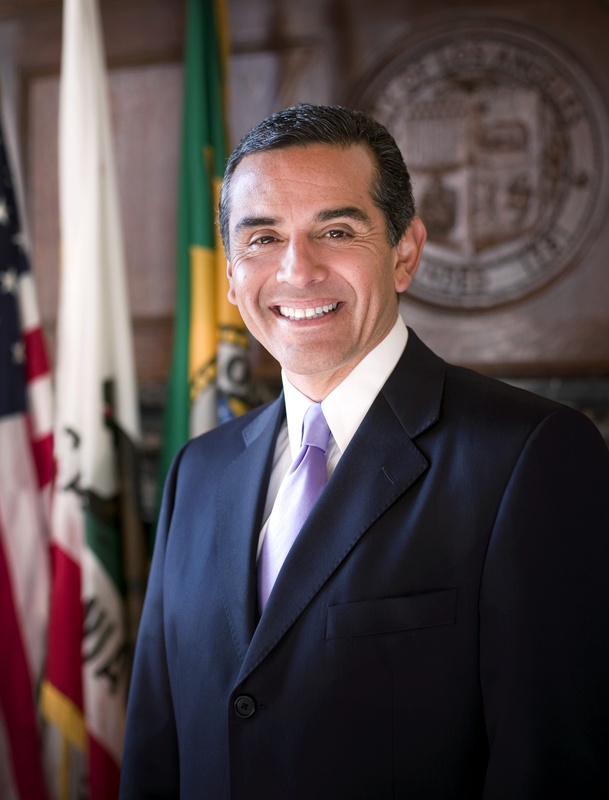 Mr. Villaraigosa has also served in academia, currently as a fellow at Harvard University and a professor in public policy at the University of Southern California. He is a senior fellow at the Bipartisan Policy Institute in Washington, D.C. and previously served as a visiting professor at UCLA. Additionally he works in the private sector with Banc of California and Edelman Public Relations, amongst others, and serves on the McGraw Hill Global Education board of directors. Prior to holding elected office he was a labor leader representing teachers and public employees. Villaraigosa holds a B.A. in History from UCLA and a J.D. from the Peoples College of Law, and is the proud father of four children.